Advertise your early morning worship of the beautiful sun when you print Sunrise Clouds Flyers and post them in advance. 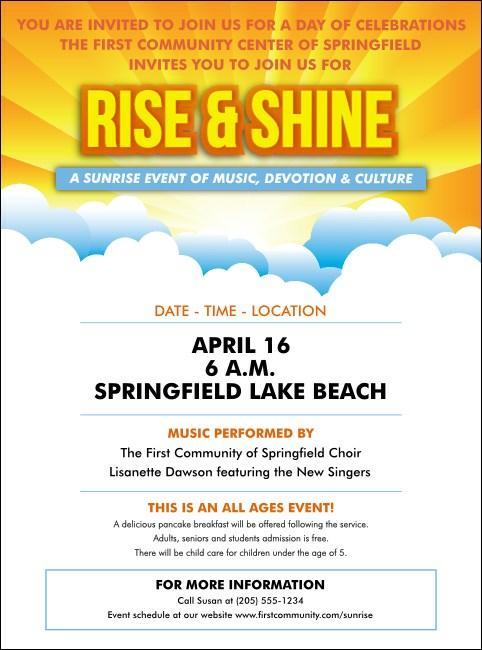 Shed some light on your event with Flyer templates that feature a stunning orange and yellow sun rising up from behind floating white clouds, with nineteen lines of text for all your devotional event details. Wake up to great pre-event promotions at TicketPrinting.com.